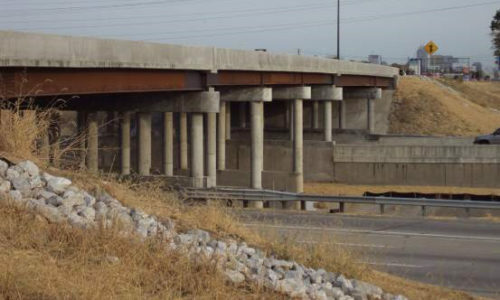 Bridge Design is one of the top services SJCA offers. With a staff that has completed over 100 bridges, our team offers expertise in new structure design, replacements and rehabilitations. This 11.4 million dollar bridge replacement included SJCA’s knowledgeable team completing the design and management of the project. The bridge replacement project included combining the river and overflow structures into one structure. SJCA received an Honor Award for this project from the American Council of Engineering (ACEC). The project the design and replacement of the superstructure replacement of an existing 7 span bridge. SJCA completed the design for this major bridge rehabilitation project in less than nine months. The accelerated schedule allowed our client, INDOT, to take advantage of the competitive construction pricing during the economic recovery. 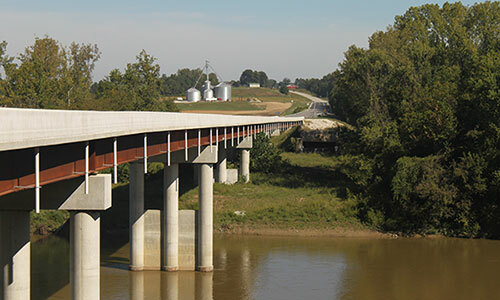 This ACEC Honor Award Winning project included the first bridge in Indiana to be construction using Precast Prestressed Concrete U-Beams. 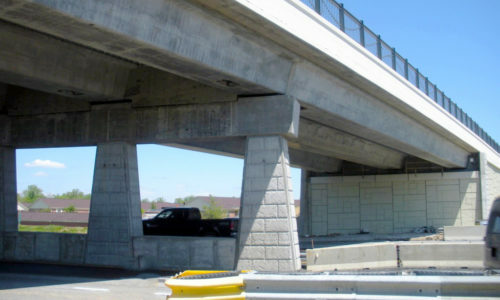 The design of this overpass bridge and street approach included an accelerated construction approach.